There are three main types of oatmeal to choose from in the cereal aisle of the grocery store: regular oatmeal, quick cooking oatmeal and instant oatmeal. What kind of oatmeal is the best for baking? Sometimes, recipes will specifically call for different types of oatmeal and other times they’ll simple say “oatmeal” with no explanation. While it isn’t difficult to pick out which kind you want to have for breakfast, it can be difficult to know what works in a recipe. Regular oatmeal, also often described simply as rolled oats, is the most basic type of oatmeal that you can find. This type of oatmeal is made with whole rolled oats that are steamed and then flattened. When it comes to breakfast, they cook in just a few minutes and have a nice, chewy texture. This type of oatmeal also lends a slightly chewy texture to baked goods and the whole oats are clearly visible in the finished product, leading to more rustic looking cookies and baked goods. Quick cooking oats are rolled oats that have been coarsely chopped. 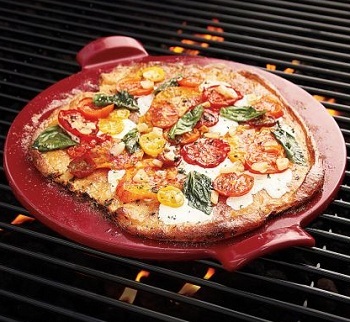 Breaking them down into smaller pieces enables them to cook more quickly. They have the exact same flavor as regular rolled oats, but have a slightly finer texture. Cookies that are made with this type of oatmeal tend to look a little “prettier” because they don’t have big oats floating around in them and they give a baked good a very uniform texture. Quick cooking oats can be made at home by pulsing regular oatmeal in the food processor a few times. Regular and quick cooking are what most recipes call for and they are almost always (unless specifically stated) interchangeable in a recipe. I personally tend to like the more uniform look of quick cooking oats and use those more often, either buying them from the store or coarsely chopping whole rolled oats in the food processor. In my recipes, I will call for one or the other based on what I think gives the best result, but generally speaking both will work in my recipes and many others’. Instant oatmeal is much finer than quick cooking oatmeal and, depending on the brand, it can actually be very powdery. 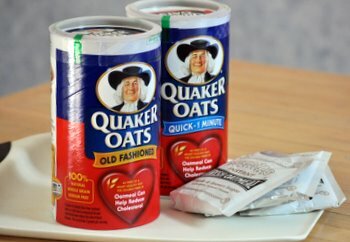 This type of oatmeal still has an oatmeal flavor, but it does not lend any of the texture to a baked good that regular oats do. 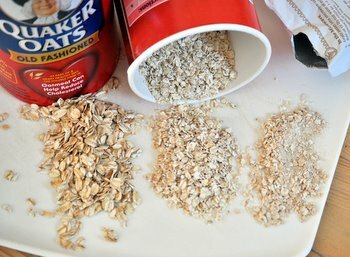 You should not substitute instant oatmeal into recipes that call for oatmeal (unless they specifically mention instant) because it doesn’t lend any structure to baked goods in the way that coarser oats do and your finished product could be very different from what the recipe writer intended. One last oatmeal option is steel-cut or Irish oatmeal. Steel cut oats are whole oat groats that have been chopped into large pieces and have not been steamed or rolled, as regular oatmeal has been. This type of oatmeal has a completely different and much coarser consistency than rolled oatmeal. It requires a long cooking time and makes a much better breakfast food than an oatmeal cookie, so it should also not be substituted for other oatmeal in recipes unless specifically called for. 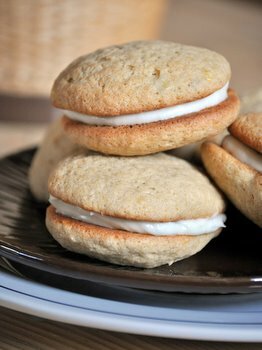 Next PostNext What is a whoopie pie? Personally, I find that regular oatmeal tastes much better and it is also cheaper therefore I try to only buy regular oatmeal. I knew there was a difference between rolled and quick-cooking oatmeal and to default to rolled in recipes, but I didn’t know the details. Thanks for the explanation in the context of baking. I had a disaster when I tried to substitute regular oats for quick oats in an oatmeal cookie recipe. The regular oats caused the cookies to spread waaay too much. Now I’m careful to use the kind of oatmeal called for in the recipe. If a recipe doesn’t specify regular or quick and it’s a cookie recipe, I always use quick. I always wondered the difference between the old-fashioned oats and the quick cooking ones. Thanks for sharing. Perfect explanation, bought regular oats in bulk then was a little panicky because the recipe I had called for ‘quick’ I had a feeling if I whized them around the Cuisinart that would do the trick, but thanks for the detailed explanation and pictures. Thanks for the information. I can use it today to make your peanut butter oatmeal cookies. This information is exactly what I needed to get back on track using oatmeal in baking. I’m not a big fan of oatmeal but do love a good oatmeal cookie…and I was just about to buy steel cut oats…you saved me from some baking grief. Thanks for the great information. I was putting together a recipe in my head, and you answered my questions about which oatmeal! I’ve begun substituting 1/4 c. oats in exchange for white flour in all my baking. I bought old fashioned oats by mistake – great ideas! This was a life saver. My boyfriend told me he only likes oatmeal cookies and I want to make him some for Christmas. I didn’t have a clue which oats to use. Now I just need to figure out which cookies to make. Thanks!